Classic Cycles Ltd. brings you a wealth of information and resources on our favorite vintage bikes. Visit our blog today! Riding a bike in the winter months is unheard off, but that doesn’t mean it’s impossible. As a vintage bike owner, you probably think the conditions are too harsh for your prized possession to be taken out. 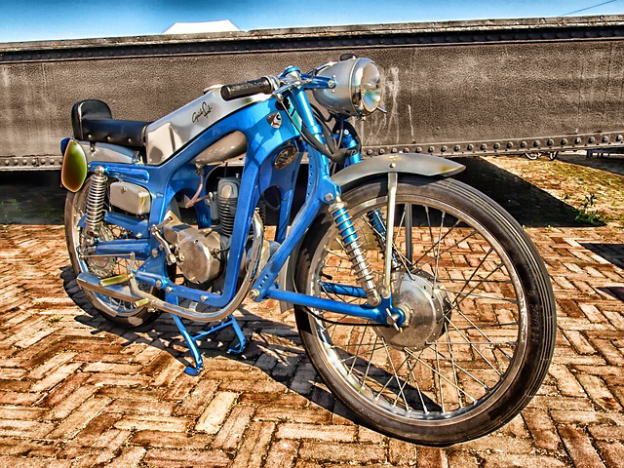 Antique motorbikes generally suffer more wear and tear with their braking system. Riding a bike in cold, wet, or snowy conditions only worsen their performance. It’s quite a hassle to check the health of your bike’s braking system. The wheel needs to be removed to get a better view of what’s happening inside the brake drum. Inspect brake shoes for wear and tear. You may have to reshape them accordingly. Lubricate all linkages to have the system working as smoothly as possible. Check for excessive wear on bushings, clevis, and cotter pins. Studded tires are ideal for extreme conditions. If you’re planning to ride your bike in winter, it’s best to change the tires to studded ones. Most states allow their use but verify that, just to be sure. The studs can easily be installed with a drill in a few hours. Winters are generally grey and miserable. Sunlight graces us for a shorter amount of time. Make sure your lights are working and are bright enough. The usual 6 volt ones don’t perform as well as others. In the age of LED lights, you can find good options that require less power. A common problem that arises with winter riding is rusting. Significant amounts of road salt find its way into the inner workings of your motorcycle. Get a protective layer of oil on the motorcycle parts. Use some WD-40 on hard to reach areas. Understandably, motorcycle batteries aren’t as large as other vehicles. They are more likely to lose power in the cold. Luckily, vintage bikes don’t need as much power to ignite. A small jump starter can work. The number one way to keep salt, water, and dirt out of moving parts of your bike is an application of good quality grease. Marine grade grease is the best by far. It repels water. These tips should put you on the right path for winder riding. For any service or repairs needed, visit Classic Cycles. We provide motorcycle parts and repairs in New Jersey. Call (908) 996-5337 for more information.